Chrysanthemum is associated with Autumn and the Autumnal Equinox. Your lucky flower is believed to help you attune with your ancestors and receive wisdom from the above. Moreover, it protects and blesses the home. It can be used in banishing rituals or even worn to repel negative entities and the dark arts. In Greek religion, Narcissus was a hunter from Thespiae in Boeotia who was known for his beauty. He was the son of the river god Cephissus and nymph Liriope. He was extremely arrogant and self-centered. Nemesis punished him for that. However the Gods, restored his beauty into this amazing – and very popular – flower. Narcissus is believed to aid in dreams and help us achieve a healthy lifestyle. Worn in breast pocket attracts good luck for all day. This stunning flower is associated with both Venus and Uranus. Moreover, it helps us conjure magical powers and enhance our talents. Magnolia is a blessing especially if the flowers are silently cut at night. Witches use dried magnolias to bring forth Love and affection. It balances heart chakra, banishes sadness and help us open to Love. This is a classic Fae plant as it attracts winged nature creatures. One of it amazing alleged abilities is that one who wears or carries a bluebell is compelled to speak the truth (probably because fairies make him/her). Bluebells are used in dream pillows to aid in prophetic dreams and banish nightmares. 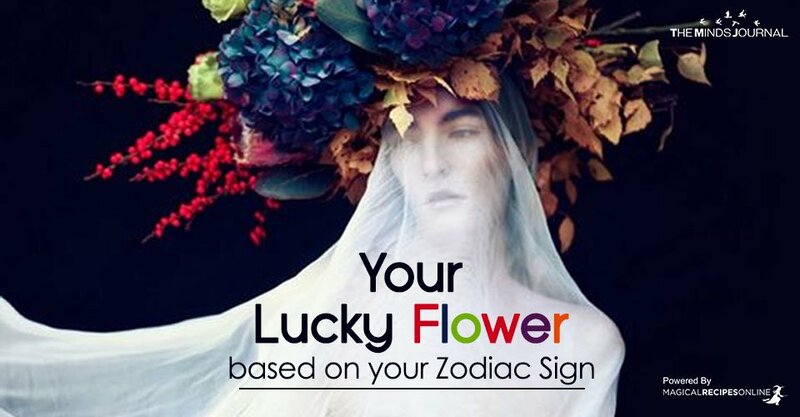 As you are the most passionate Zodiac Sign, your lucky flower is believed to be the most passionate of all. It is also known as the Flower of Lust. Hibiscus attracts love and affection. It helps us experience the most passionate sides of ourselves and pushes us to overcome our fears. Moreover, it intensifies our psychic powers and opens our ‘third eye’. Sacred to Archangels, this amazing herb attracts positive vibes. It is used in magic against all demons and all the suffering they bring. Angelica is one of the most powerful herbs in magic. Hence it’s a perfect match for Scorpio. This enchanting scent is believed to mesmerize everyone. Moreover, it is helped to overcome difficulties and shut down fears and anxiety. It brings out the happy side of ourselves and banishes depression. Moreover, it cures the heart chakra. Therefore, you lucky flower attracts love and friends. This is one of the most amazing flowers Mother Nature brought us. It is believed that these flowers can make it through even in the hardest times. Dandelions possess so much good magic that even the Darkest arts cannot bend their power. Moreover, this magical flower can help you strengthen your magical powers and psychic visions. Make a wish and blow the seeds off a dandelion flower!